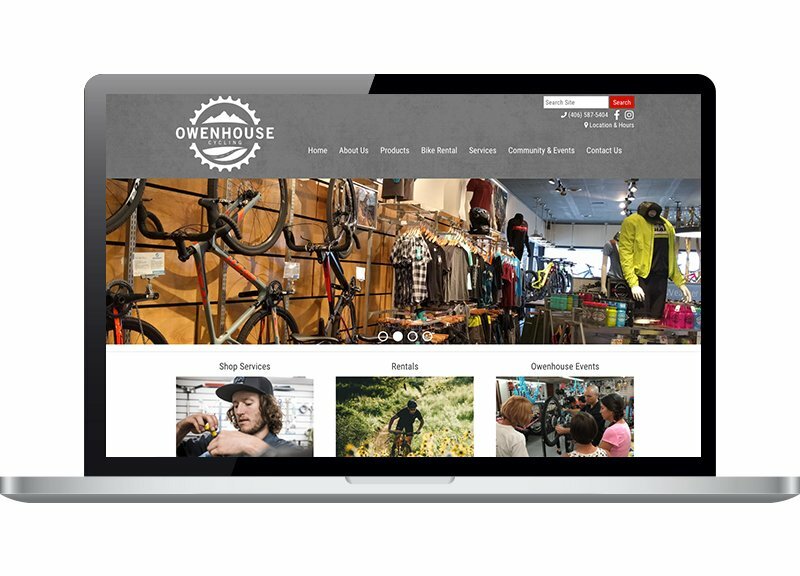 Owenhouse Cycling is a one-of-a-kind client who has not one but two business websites built with the FootSteps Marketing platform. What started as a mercantile in the late 1800s has blossomed into two thriving, community-focused companies, both family-owned and operated, now in their 4th generation. Owenhouse Cycling is dedicated to supporting and supplying Bozeman, Montana, with the best in cycling supplies as well as trail stewardship education, mountain biking rentals, and community events. 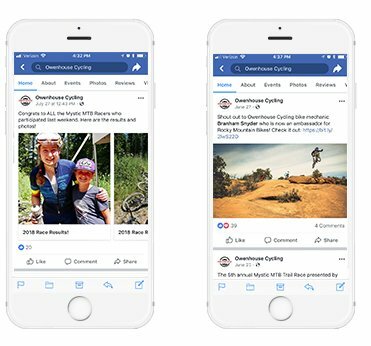 Owenhouse's mobile-friendly website empowers locals and visitors to conveniently book rentals, learn about cycling events, and more. The location’s interior is uniquely designed and the Owenhouse team have an interactive, 360-video that showcases the interior of the facility, allowing mobile and desktop users to get a feel for the store without leaving the comfort of their home. Social media marketing expands Owenhouse’s reach into the community and beyond by delivering their ads and content to their preferred audience. FootSteps proudly supports their internet marketing efforts by enhancing their social media marketing with ads and boosts, sending their reach through the roof!